North Rhine-Westphalia is a real incubator for innovative and future-orientated companies. Nearly every fifth Start-up has their headquarters here. That means 19 % of all German Start-Ups in NRW are residing here, whereby over half are in the urban centre of Rhine-Ruhr. In this way the state dethrones Berlin (15,8%) for the first time. These are the results from a study published by KPMG and the Association of German Start-Ups. Have you decided to setup your business in Germany? 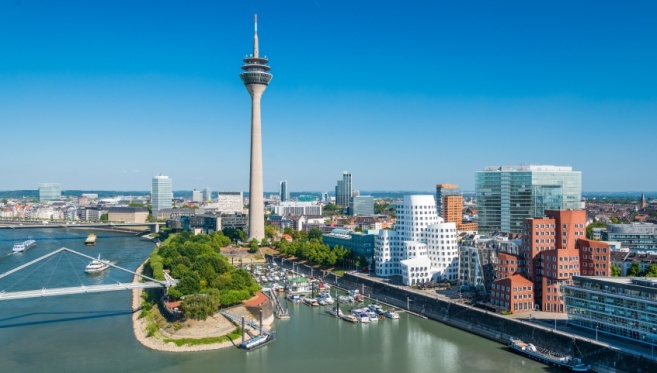 Düsseldorf, the most densely populated and most dynamic city, offers you many possibilities.